Pipefitters who install plumbing for buildings made before 1989 are at significant risk of asbestos exposure. 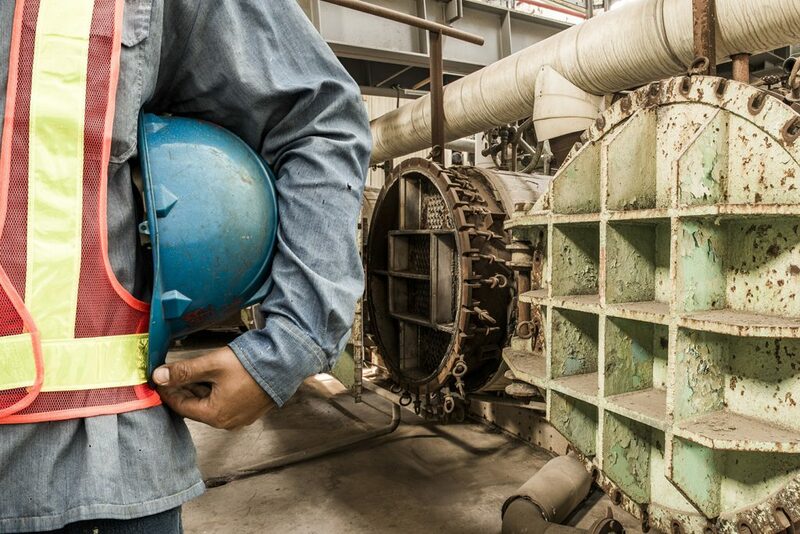 Pipefitters are necessary for the repair, maintenance and renovation of pipes within every building in the United States, but working on older pipes has led to thousands of pipefitters contracting mesothelioma. What makes asbestos so dangerous is fibers which erupt from asbestos-containing materials (ACMs) when disturbed or eroded. Pipefitters often have to saw or drill through ACMs when installing pipe, like cutting a gasket to size or sawing through asbestos-containing plaster. These fibers can then get into the lungs and kill alveoli (sack-like cells that transfer oxygen and carbon dioxide). These dead cells cause hard scar tissue to restrict breathing (asbestosis) and toxins secreted by dead cells have been linked to the formation of tumors in the mesothelin (mesothelioma). Contact information of employer, property owner, doctor etc. It would also be a good idea to keep a journal after you’ve been exposed to asbestos to log your thoughts and mental changes. Your next big step after receiving medical attention should be to contact an experienced asbestos injury lawyer. The process of seeking compensation after asbestos exposure is complicated, as determining who is responsible for your injuries, tracking down the responsible party, and proving your damages should only be handled by a seasoned lawyer. For example, it’s possible that many companies were involved in the manufacturing and insulation of the asbestos that caused your damages, furthermore, it’s possible that said company no longer exists. Even if you do manage to track down the faulty party, it’s likely they will try to give you a quick, low settlement. Only a trustworthy lawyer will track down those who’ve caused you wrongful harm and demand fair compensation, and will not be afraid to take your case to court if necessary.